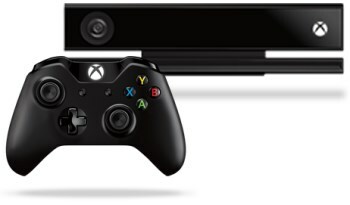 Microsoft clarifies earlier statements that only five countries would support the device. If you're excited about Microsoft's Kinect 2.0, you had better hope to be fluent in one of the eight languages that will be compatible with it (although if you're reading this, one would assume English proficiency). Furthermore, of the 13 countries the console is set to launch in, only 10 of them will support voice commands at all, and only five of those will fully support every voice command. If you consider that there are two variants of English and Spanish in there, it's really only six languages. To be fair to Microsoft, the languages they selected are the majority languages spoken in the countries the console will launch in. There's no word on when other languages will come to the system. An official Kinect FAQ caused some confusion when it stated that only five countries would support voice commands, but Microsoft's Director of Product Planning Albert Penello cleared that up with a Neogaf post. He said that these five countries are the only five to "fully" support voice commands. For example, the "Xbox On" command won't work in Australia, Austria, Brazil, Ireland, Italy, Mexico, Spain, and New Zealand. Penello says to sit tight, as a "chart that gives clarity on what locales, languages, and voice features are available in each country," is coming soon.